Whole Foods is shaking up management once again. The health food grocer is getting a new chief financial officer, chairman and replacing five board members. Whole Foods (WFM)stock popped 2.2% on the news. 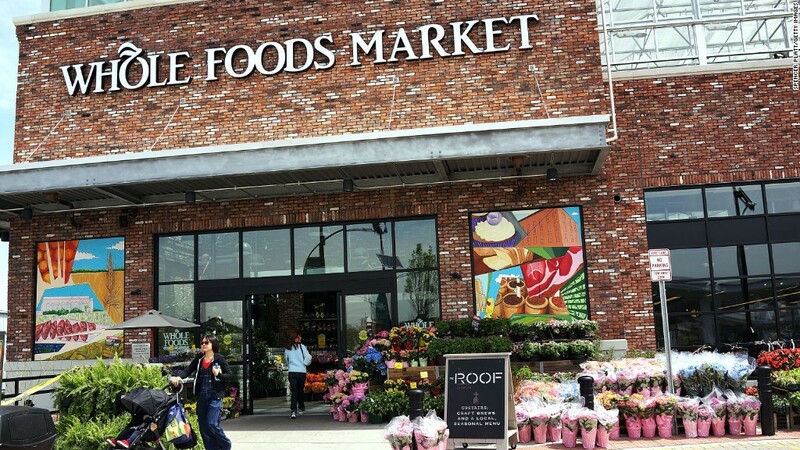 The news comes after Whole Foods (WFM) announced another big management change in November. That's when the company ended the co-CEO structure it once held, naming co-founder John Mackey as the company's sole chief executive. He used to serve alongside Walter Robb, who is now a board member (he was not one of the board members who was replaced Wednesday). Keith Manbeck will be the new CFO, and he'll take on that post effective May 17, Whole Foods said Wednesday. He was previously an executive at Kohl's, Victoria's Secret and Nike (NKE). Gabrielle Sulzberger will be Whole Foods' new chairwoman. She is a serial investor and has worked as an independent director at Whole Foods since 2003. It has been a rough couple of years for Whole Foods. Its one-time virtual monopoly on the health foods industry has been crowded by competitors like Sprout (SFM), Trader Joe's and an increasingly large organic selection at local grocers. Lagging sales sent the company's sock down 42.1% over the course of 2014 and 2015. It saw a slight turnaround toward the end of 2016, thanks in part to the post-election stock market rally, but stockholders were still concerned that the company needed a management mix-up in order to ensure a steady path forward. Recently, Jana Partners, a prominent activist investor, spent about $706 million to acquire a 8.3% stake in Whole Foods, according to public filings dated April 10. Jana said it wanted to address "chronic underperformance" at Whole Foods and change up its leadership. Investors welcomed that news. April marked one of the stock's best-performing month in years, gaining 22.4%. Whole Foods shares are up nearly 18% overall this year. The company said during a call with investors Wednesday that Jana's stake had nothing to do with the leadership changes announced Wednesday.